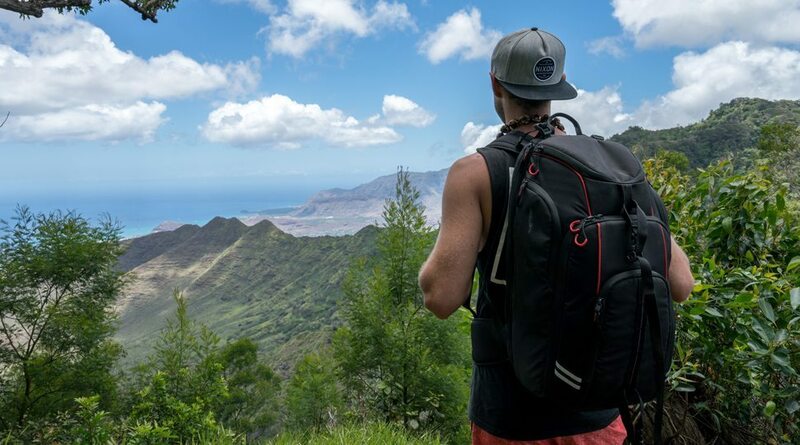 Adventure travellers Dan Moore and Mitch Oates witnessed the unspoiled beauty of the hills around Kualoa Ranch during a private hike on Oahu. 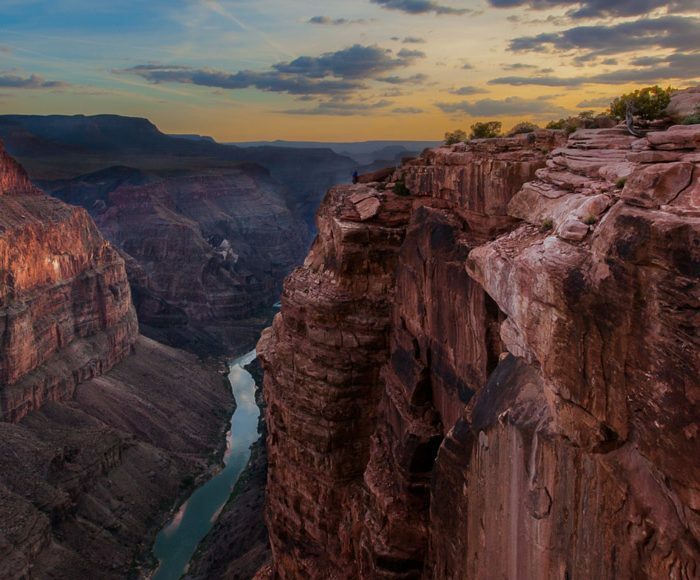 Two thrill-seeking travellers hike, swim, dive and paddle their way through paradise. 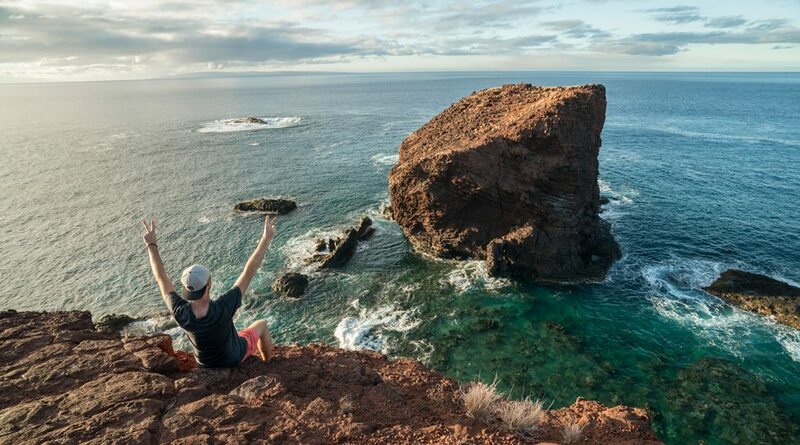 Adventure travellers Dan Moore and Mitch Oates spent two weeks chasing thrills while soaking up the distinctive beauty of four Hawaiian islands. 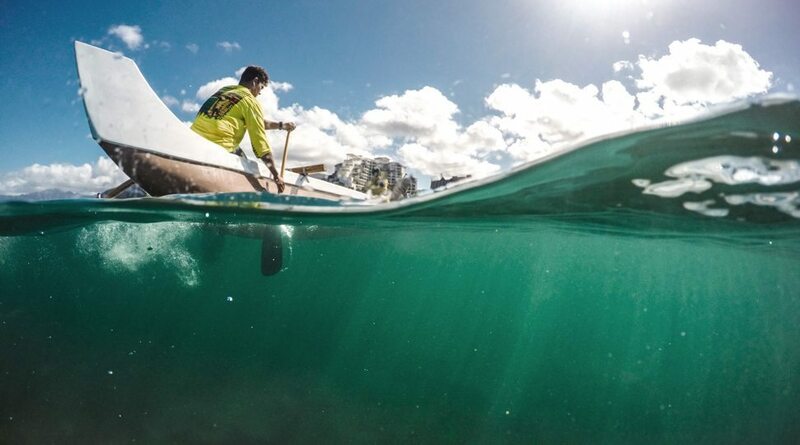 From home bases at Four Seasons Resort O‘ahu at Ko Olina, Four Seasons Resort Maui at Wailea, Four Seasons Resort Lanai and Four Seasons Resort Hualalai, the pair paddled, swam, dived and hiked their way through paradise – taking time out to unwind and savour the delights of their temporary island homes. 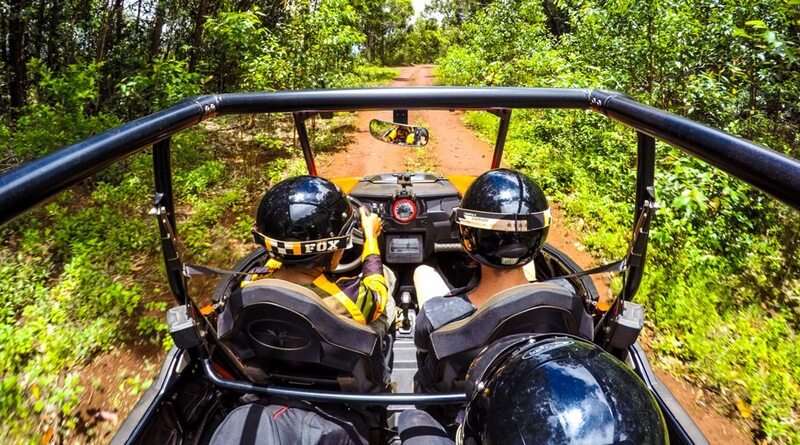 In the slideshows below, each photo is labelled with one of three adventure ratings: “Easy does it” for low-key activities, “On the move” for moderate-energy experiences, and “Off the charts” for adventures boasting the highest adrenaline rush. 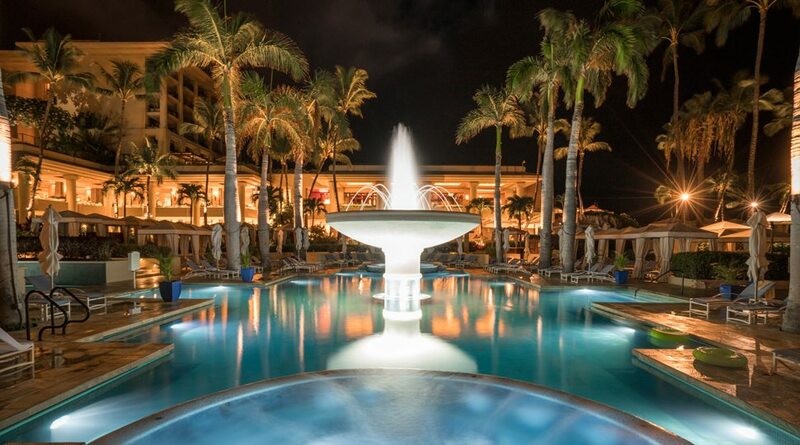 Moore and Oates’ first stop was Oahu, where they relieved jet lag with a little pool time. 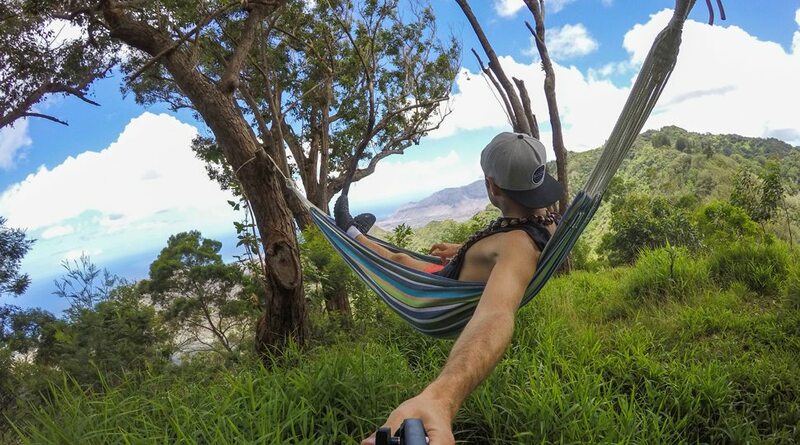 Refreshed and ready for island life, they dialled up the action with canoeing, hiking through secluded areas of Kualoa Ranch and pursuing the ultimate underwater ocean adventure. 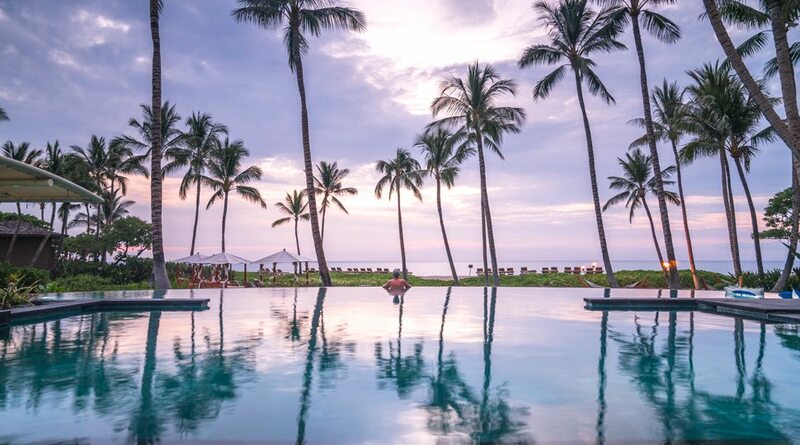 Relaxing by the pool at Four Seasons Resort Oahu at Ko Olina was the perfect way for adventure travellers Dan Moore and Mitch Oates to recover from jet lag. 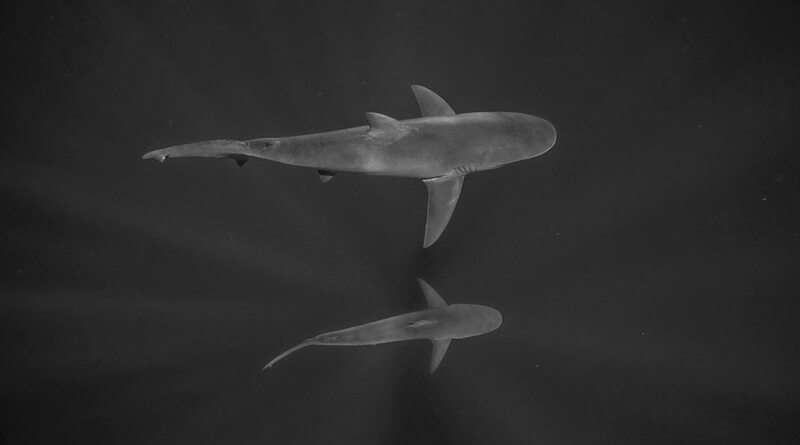 The most thrilling experience on Oahu for the adventurers was a private trip arranged by the Resort to swim alongside Galapagos sharks—without a cage. “It’s a bucket-list item, something we’ll never forget,” Moore says. 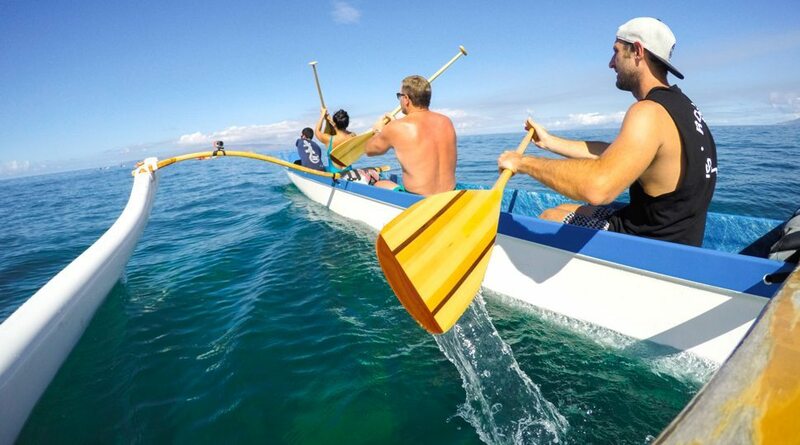 Moore and Oates spent some time in the water before touring the island, paddling a traditional Hawaiian outrigger canoe from Four Seasons Resort Maui at Wailea. 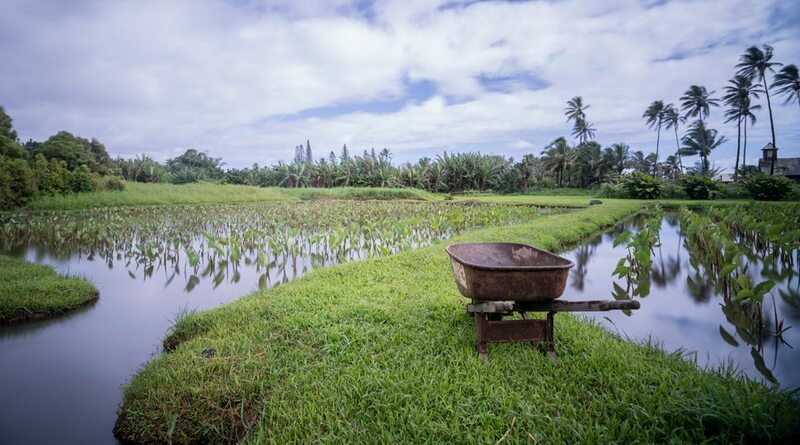 They visited a taro field, which was next to one of the oldest churches on the island. Here the natives grow the starchy tubers used in making poi. 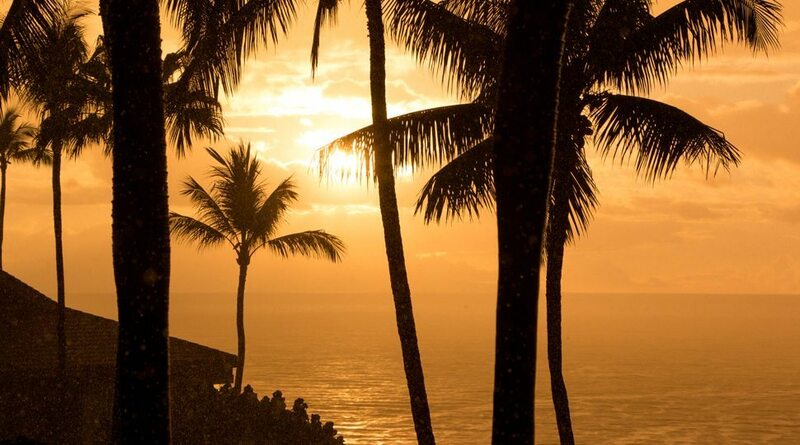 “It was really eye-opening to see how the ancient Hawaiians farmed,” Moore says. 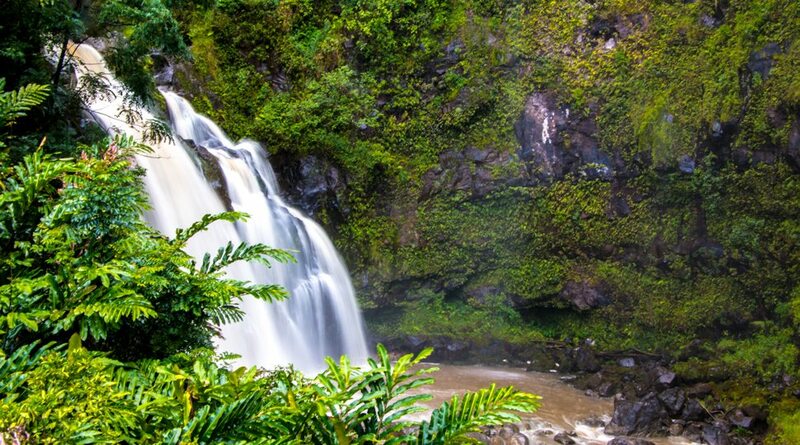 During the tour, the pair marvelled at the many pools and waterfalls of Ohe‘o Gulch. After their whirlwind excursion on Maui, Moore and Oates spent several hours lounging at the Resort. “You know they actually play music underwater in the pool?” Oates says admiringly. 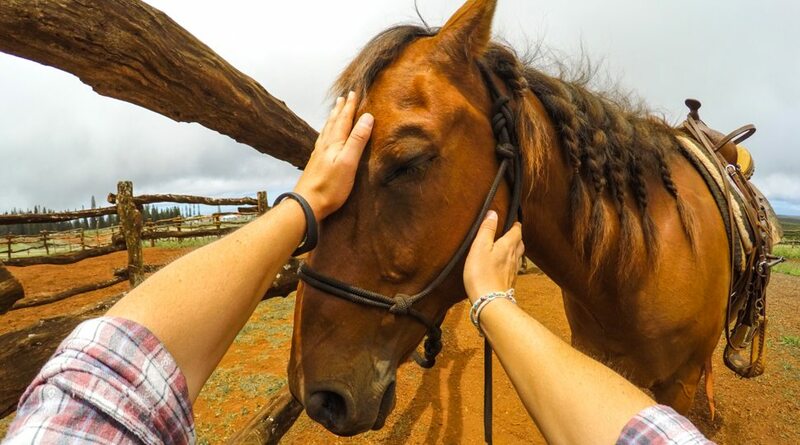 Moore and Oates enjoyed a horseback ride through the wooded valleys and trails of the hills surrounding Koele, once the center of ranching operations on the island. 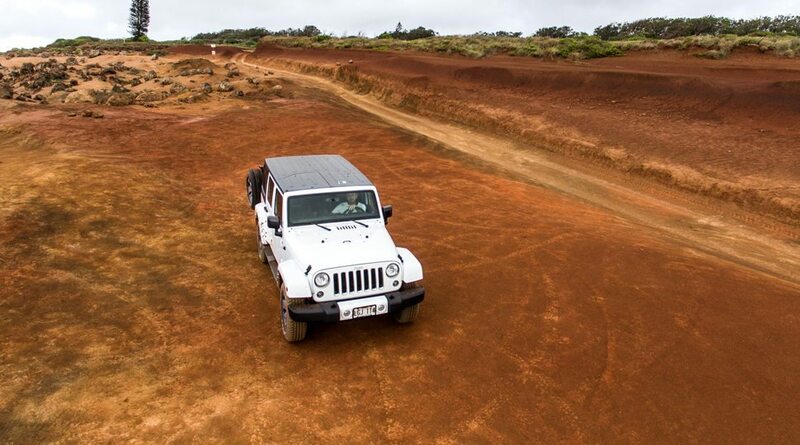 During what they called the most epic road trip, Moore and Oates explored Lanai behind the wheels of an ATV and a Jeep. 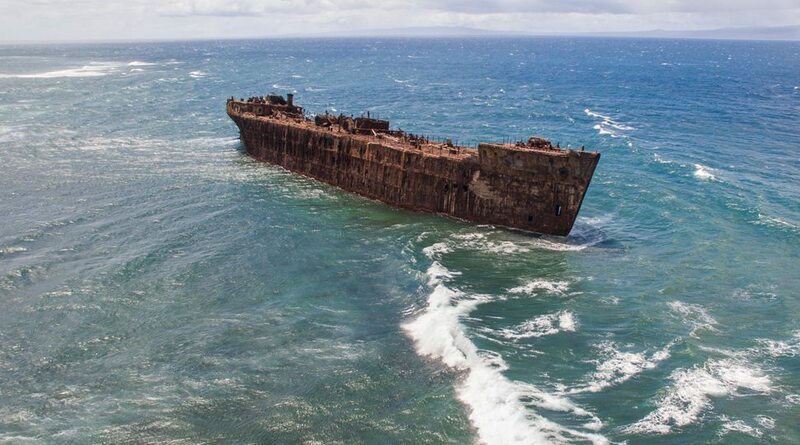 “There are four-wheel-drive paths, secluded beaches and a shipwreck – and you barely see another person,” Moore says. 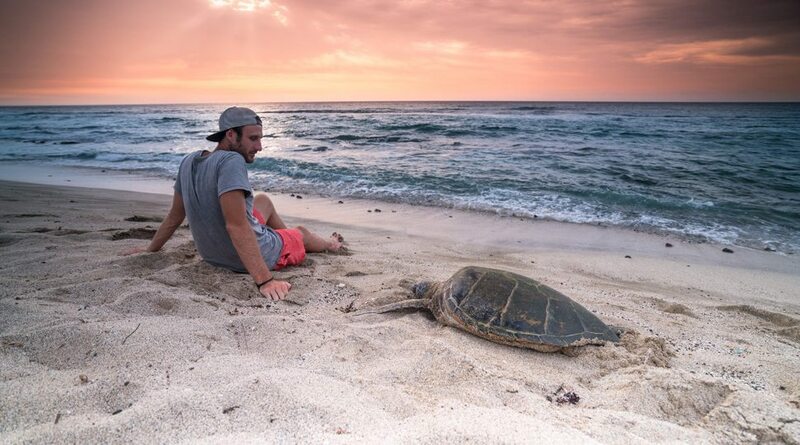 The beaches of Hualalai are the gateway to water sports (think underwater scooter snorkelling and stand-up paddle boarding) and wildlife. 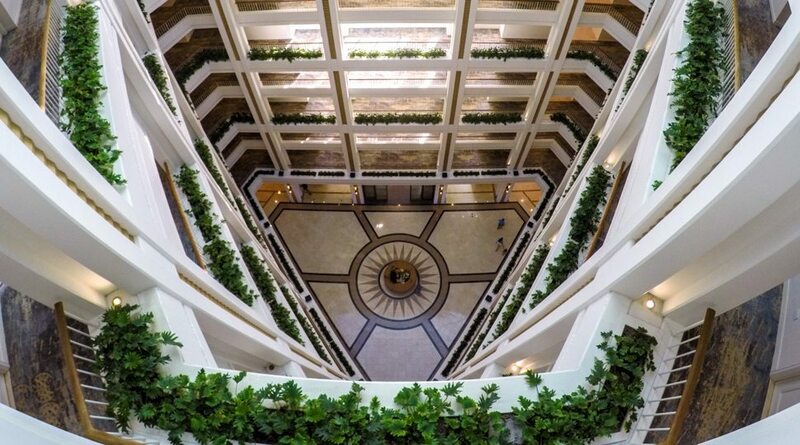 “The whole place has an epic vibe about it,” Moore says. 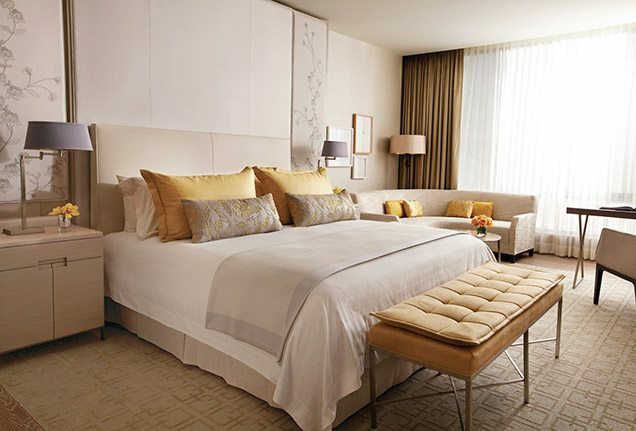 When you come in from those epic adventures, you relax here, with friends. 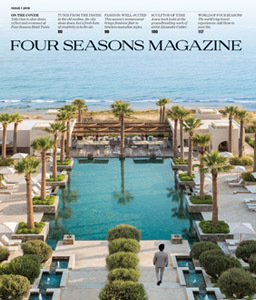 The two men say Four Seasons takes its pools very seriously. 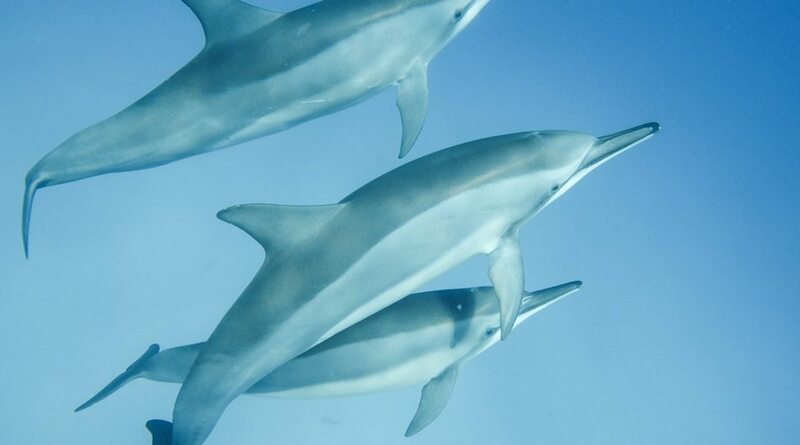 “The beach is a matter of metres in front of us, the air temperature is always warm enough to dry you out, and the views are stunning,” Oates says. 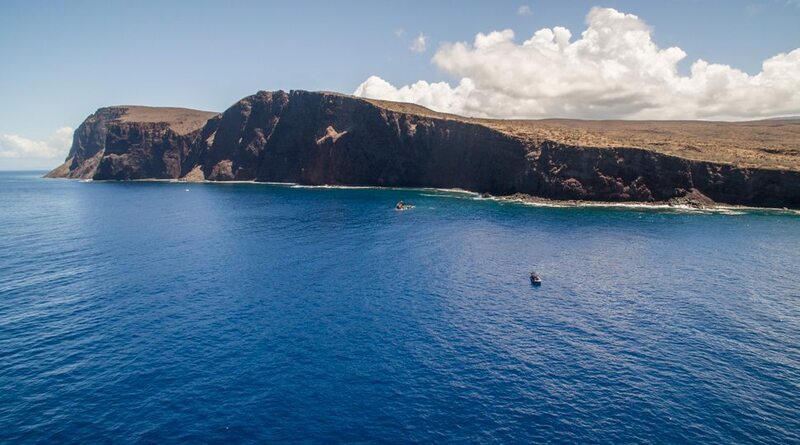 An aerial view of the approach to Lanai. 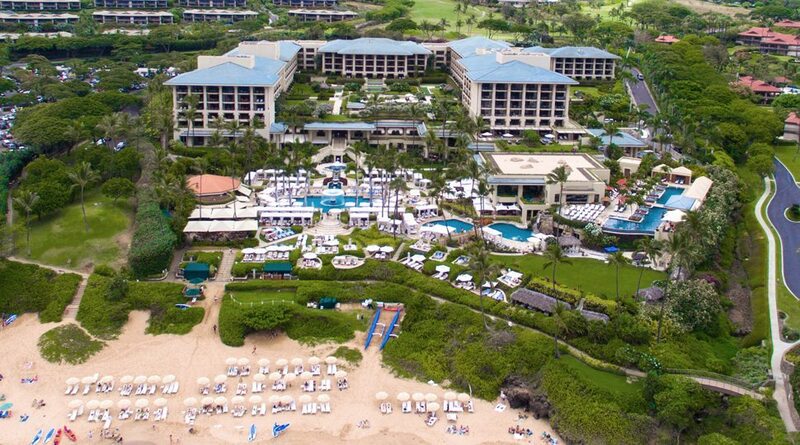 Aerial view of Four Seasons Resort Maui at Wailea. 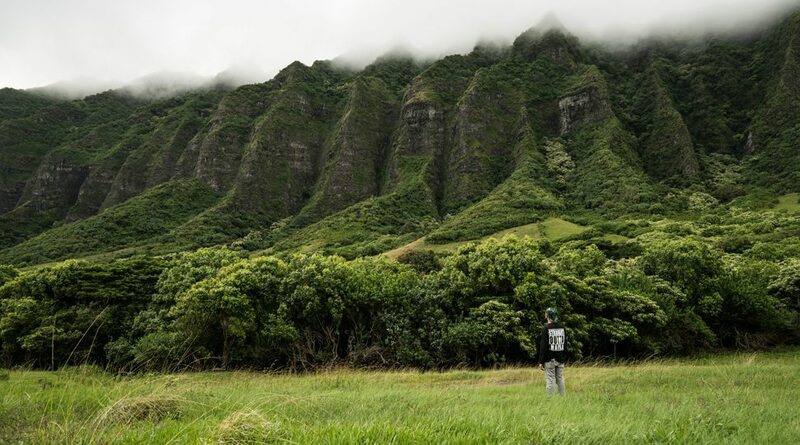 The view from the top of the valley looking down on Kualoa Ranch on Oahu was “one of the most beautiful locations we have ever seen,” Moore says. 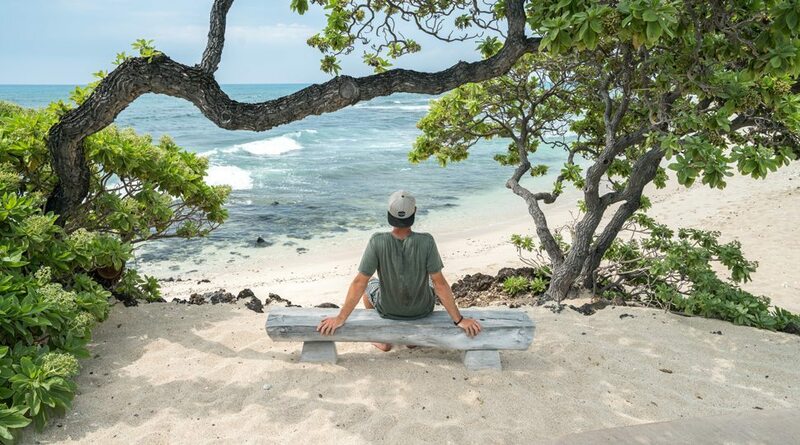 “I could have spent days relaxing by the pool, but there are so many experiences to have,” Oates says of their adventure on Oahu. 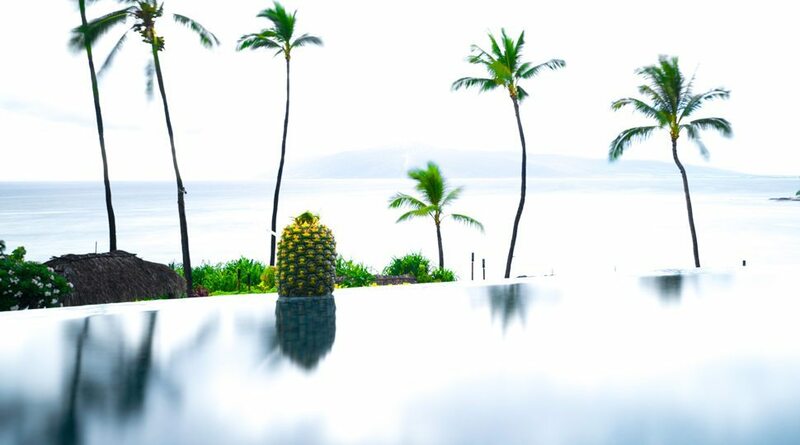 Even the view from an upper floor inside Four Seasons Resort Oahu at Ko Olina is photo-worthy. 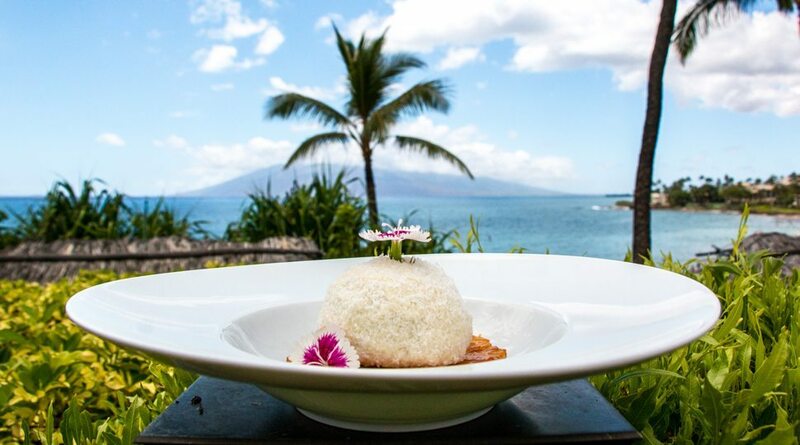 Relaxation and dessert at Four Seasons Resort Maui at Wailea was a perfect ending to an active day. 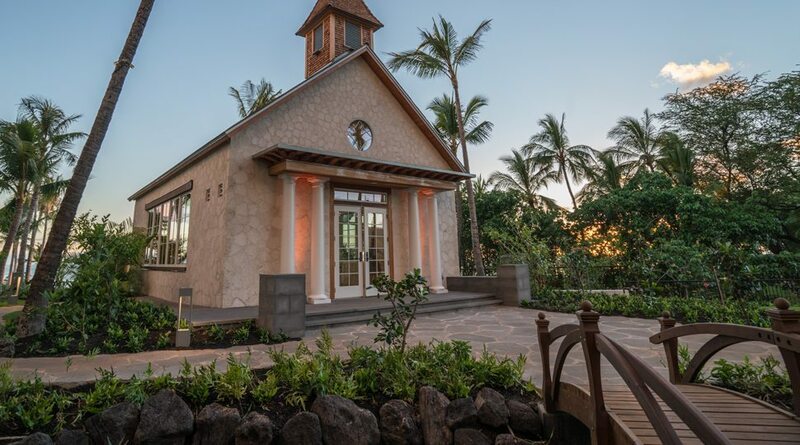 The wedding chapel at Four Seasons Oahu at Ko Olina. 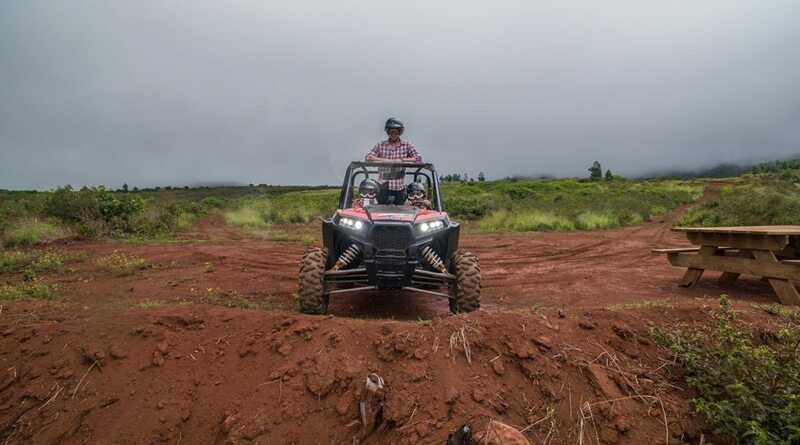 “Today was all about adventure, and it was an epic experience,” Moore says of the pair’s activities on Lanai. 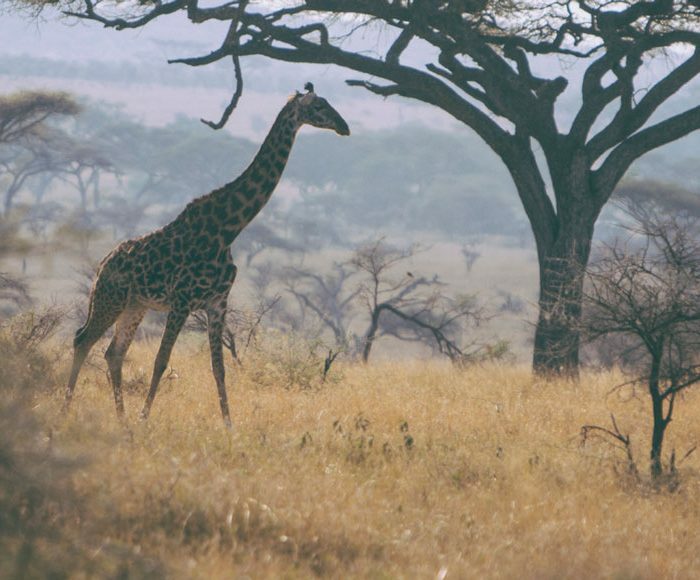 “I could call this home! 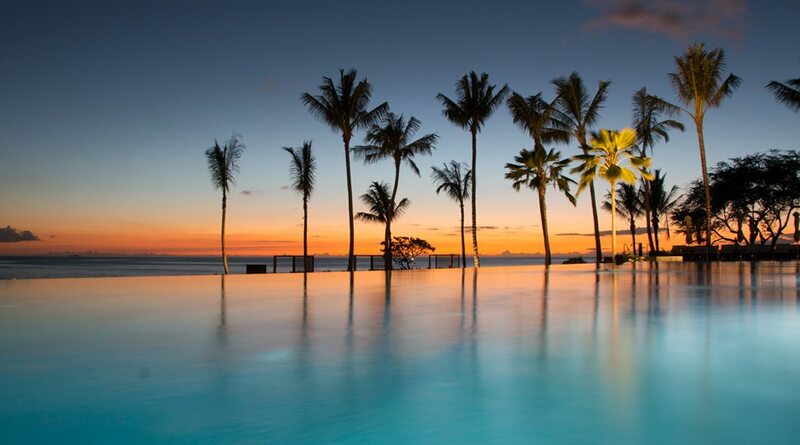 Moore says of the sunset from Four Seasons Oahu at Ko Olina. 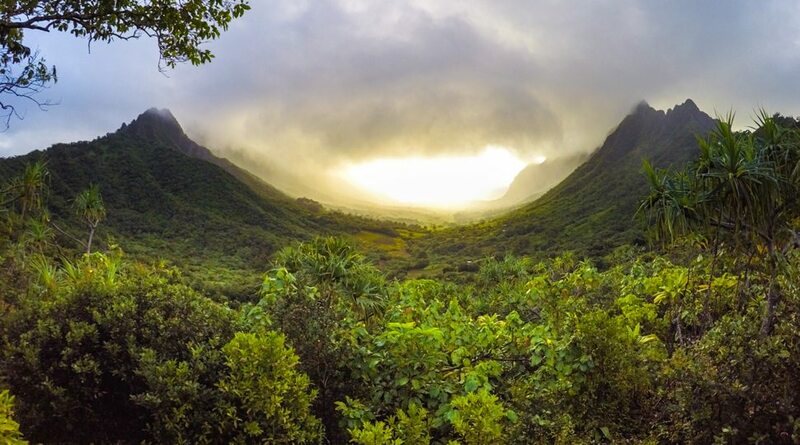 Mists rise above the Kualoa Ranch valley on Oahu. 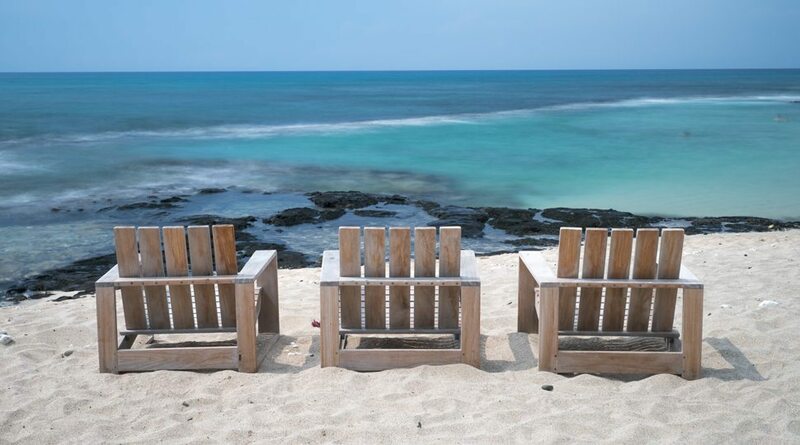 One of the many vantage points along the beach at Four Seasons Resort Hualalai. 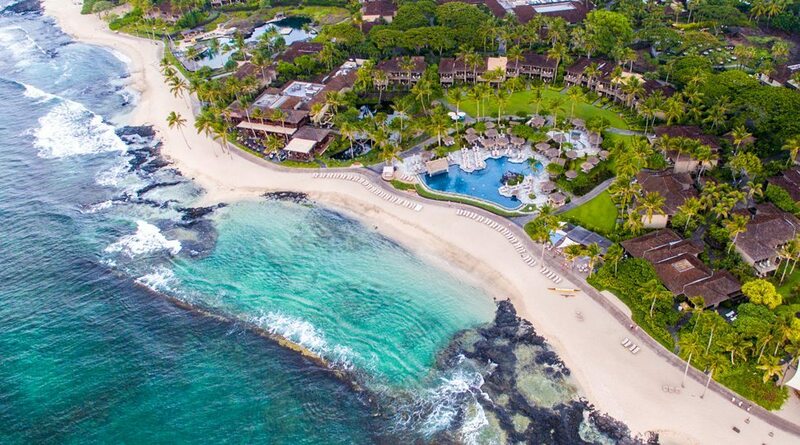 The beach is just a few metres away from Four Seasons Resort Hualalai. 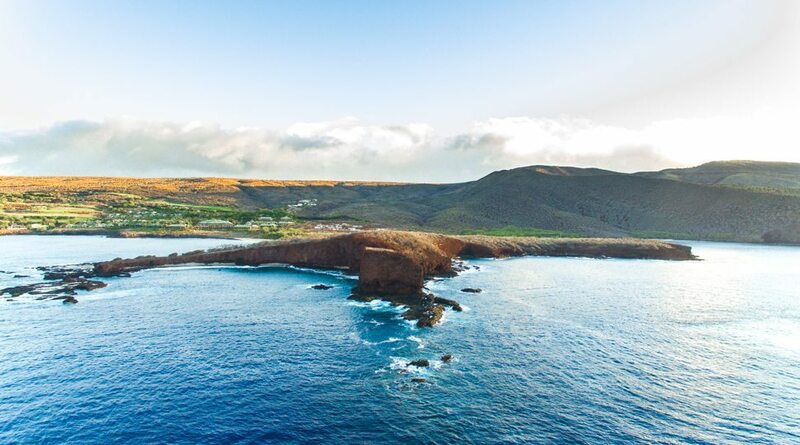 The rugged shore of Lanai greets adventurers. 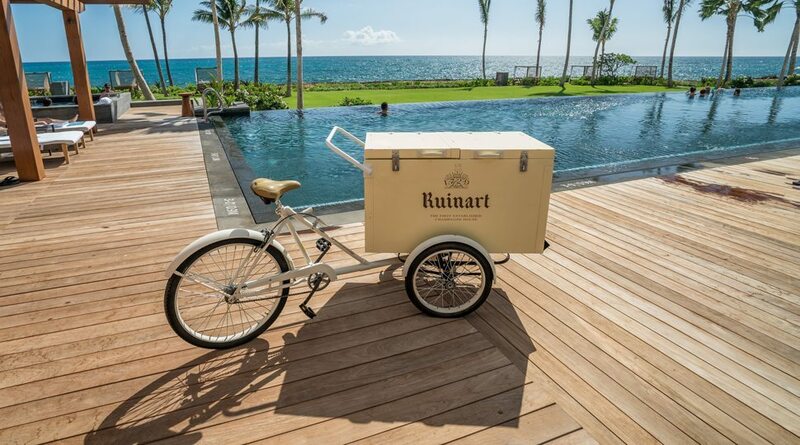 The pair enjoyed lounging – and refreshments – at the pool at Four Seasons Resort Maui at Wailea. 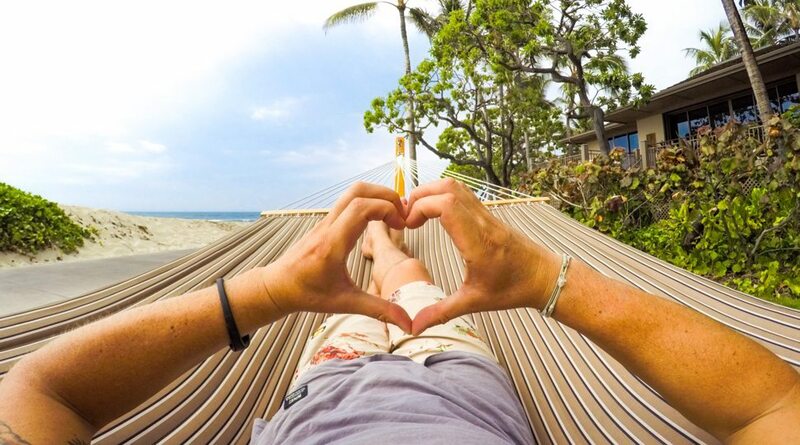 “Welcome to paradise – I’ve found my private slice of heaven!” Moore says. Rest peacefully on the world’s most comfortable mattress.